The Department of the Classics at the University of Illinois at Urbana-Champaign invites applications for a full-time, tenure-track Assistant Professor with a specialization in Mediterranean Archaeology and a target start date of August 16, 2018. Applicants must have a PhD as of June 15, 2018 in Greek or Roman Archaeology (or in an immediately relevant field). Applicants are expected to present evidence of excellence in research and teaching. To ensure full consideration, all required application materials must be submitted by November 6, 2017. For complete details, visit https://jobs.illinois.edu. The University is noted for its extensive library holdings in Classics and related fields and for its museums, with excellent collections of ancient Mediterranean artifacts. The Department of the Classics also publishes the journal Illinois Classical Studies. Inquiries should be addressed to Angeliki Tzanetou, Chair of the Search Committee, tzanetou@illinois.edu or 217-333-8350. 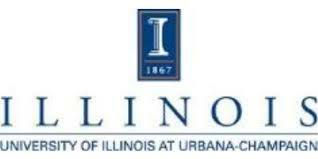 Additional information about the Department of the Classics at the University of Illinois at Urbana-Champaign can be found at http://classics.illinois.edu. The University of Illinois conducts criminal background checks on all job candidates upon acceptance of a contingent offer. Illinois is an EEO Employer/Vet/Disabled (www.inclusiveillinois.illinois.edu).